I know the whole team was involved in our transaction and they did a wonderful job, we were able to get a very quick close. We mostly worked with Lacey Collins, who we can’t say enough good things about. More important than being an extremely good agent she is a great person. If you are looking for someone honest and trustworthy then look no further. 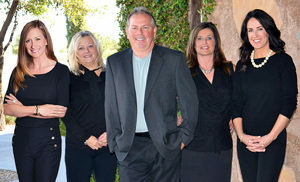 Lacey and her team are top notch and very good at what they do and put their clients first.